In order to have a unequaled, user-friendly and efficient product, Stimulo and Hidralogics collaborated to develop a completely innovative dehumidifier. Hidralogics came up with a completely innovative technology based on a patented system of forced ventilation, which optimized the absorption of moisture. 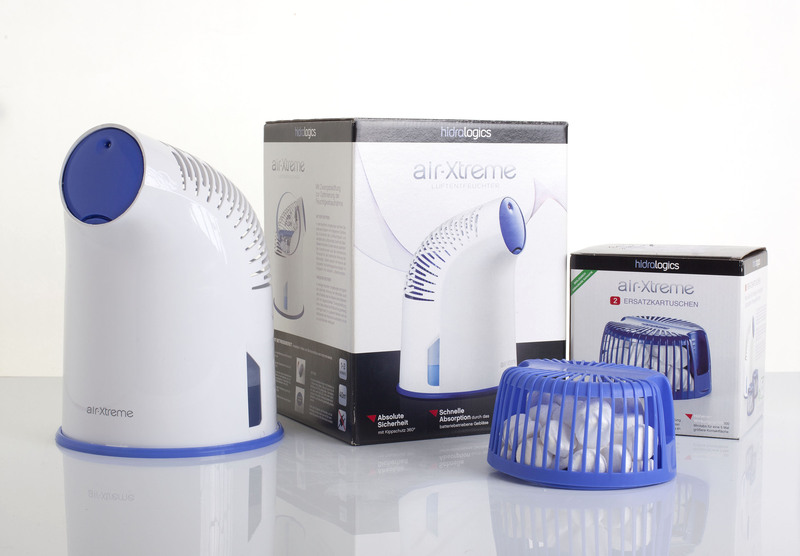 When analyzing the market, Stimulo found that in order to succeed, the dehumidifier had to communicate this new technology in the product design. To generate attractive concepts, Stimulo based its creativity process on the user’s needs. 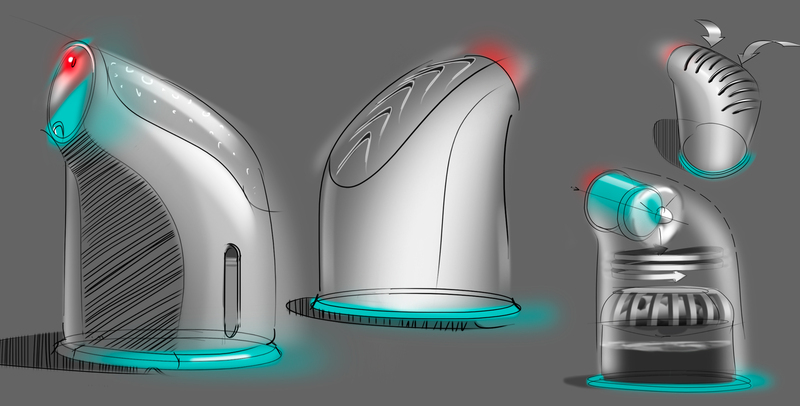 Given that the fan was run by batteries, the design team had plenty of freedom to create geometries. 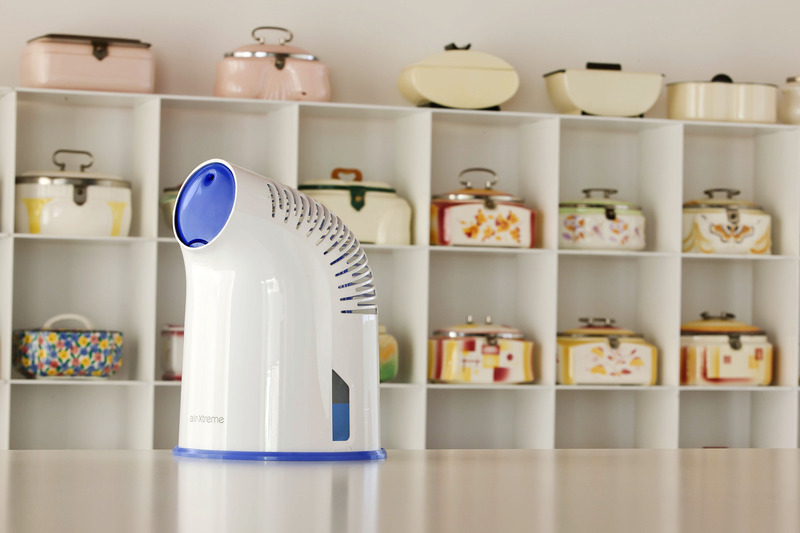 Inspired by the vent of ships, the new dehumidifier allowed a greater airflow and at the same time the ergonomics made the product hard to tumble. Moreover, the shape communicated the operation of the device, since the air flows from the upper opening to the interior, renewing the air in the cavity. After finishing the design, the engineering process was started. One of the main challenges was finding a solution for the joints and the anchoring systems, which had to make the device easy to open to change the salt capsules. Prototypes were built to conduct market tests, obtaining positive feedback in terms of comfort, safety, ergonomics and efficacy. Only after the test made sure the product was ready to be launched to the market, did Stimulo prepare the technical documentation for production. Having a patent was not sufficient guarantee of success. Indeed, communicating with Stimulo has always been clear and direct, a fact which allowed us to get into the market in a very short period of time. The communication process allowed us to control the project at all the different stages of implementation.